Now that you've read my 42-Day PT Program (and hopefully checked out some of my research in my other blog posts), all the lifestyle changes I recommend might seem like too much to tackle all at once. Believe me, this has been very much an incremental process for me and I wouldn't expect anyone to throw themselves completely over the fence right away. Instead I suggest making a few key changes initially and then building on your healthy lifestyle as you go. While your short term goal is to get higher scores on your PT test, in the long term I think we all want to live healthier lives so that we can be lively and active well into old age. Try to keep in mind that however difficult these diet and lifestyle changes may seem, they are critical to you achieving effortless 90's on your PT test and enjoying effortless life-long health. To me at least (as you can probably tell), the key word is "effortless": It really is, once you get on the right track. In the United States, refined sugars supply a worrying amount of calories to the average consumer's diet. As of 2010, it is estimated that they consume an average of 160 pounds of refined sugar per year, which is about half a pound per day (or just over 42 teaspoons of refined sugar)! All of this sugar adds up to almost 800 calories per day, which supplies more than 20% of an average consumer's total daily calories. When sugar was first refined, it was very expensive to purchase because it was so labor intensive to plant, grow, refine, an distribute. Consequently, not much of it was consumed by the average person. 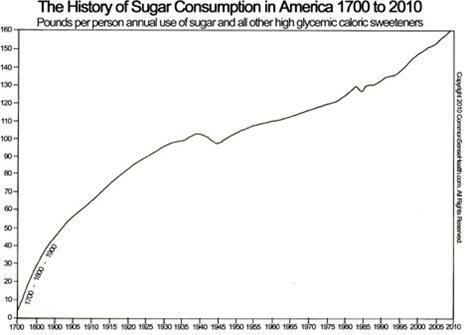 However, as the advances in the Industrial Revolution were applied to the sugar production, the price of sugar dropped causing explosive growth in its consumption by everyone. Your first step in removing refined sugar from your diet begins with sugar drinks. These drinks include sports drinks, all juices, sweetened tea and coffee, and soda (both regular and diet). If you still need something sweet in your coffee or tea, try stevia or raw honey. Ditching wheat will be difficult, but not impossible. The easiest approach to cutting bread out of your diet is to avoid sandwich breads or hamburger/hot dog buns. Also, refrain from using both whole wheat and white flour. It is possible to use gluten-free bread, but these replacement products are still being developed, so they tend to be poor imitations of the original (although Bisquick's gluten-free pancake, waffle, and biscuit mix is pretty good). Because replacements aren't very good yet, just try to get used to not eating much bread (no more than a few normal slices of bread a week). Most industrially-produced vegetable, seed, and nut oils are new to the human diet (introduced within the last 100 years) and are just terrible for you. The source of these oils usually contains massive amounts of pro-inflammatory omega-6 fatty acids, become rancid during the extraction process (or waiting to be purchased), and are sometimes hydrogenated (which creates unhealthy trans fats). Switch all of these industrial oils with more natural oils like organic butter, lard, beef tallow, virgin coconut oil, and extra virgin olive oil. Humans have been eating these natural oils for thousands of years. It's very unlikely that they are unhealthy, especially since we've only had a major problem with obesity, diabetes, and heart disease for the last 150 years. The healthiest foods that you can eat are those that you carefully prepare yourself from fresh, high-quality plant and animal ingredients. Making your own food ensures that you and your family do not eating anything artificial, preserved, or rancid. An added benefit of making your own food is cost. When compared to the stuff that comes in a box, bag, or can, buying fresh whole ingredients will sometimes be more expensive per item. However, once you combine those more nutritious ingredients into a finished meal, you can actually save quite a bit on a per person basis. This graphic compares feeding a family with fast food meals to home-made meals. Click here for larger image. If you get into the habit of making enough food for diner to eat as leftovers then you can save a ton of cash over the course of a month. For example, my lunch of chili (made with grass-fed ground beef), raw whole milk, and mangoes costs me about $2.50, which is pretty cheap for such a nutritious and delicious meal. Canned and dried fruit that have been preserved and/or infused with sugar are something else entirely. All fruit should be eaten fresh, not processed. Processed fruits have the same drawbacks as other highly-processed foods: Removed or damaged nutrients, added preservatives, and other artificial ingredients. If the fruit is fresh, then there really is no good or bad fruit. For those who fear the fructose content of the sweeter fruits, know that fructose in its natural form is not harmful. Fructose only becomes harmful when you extract it from a whole source and concentrate it (e.g., table sugar, corn syrup, high-fructose corn syrup). After you make your initial dietary changes, you can move onto your lifestyle changes. There are many lifestyle changes that you can make to improve your health (such as getting more sun exposure), but two changes are relatively easy and give you a lot of bang for your buck. Reduce all forms of stress (e.g., poor diet, chronic anxiety, too much exercise, chronic infections). 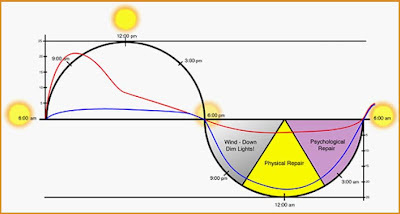 Sleep in a completely dark room (cover all light sources, including your alarm clock). Make sure you are getting enough thiamine, zinc, and magnesium every day. Take 3 mg of melatonin just before bed. 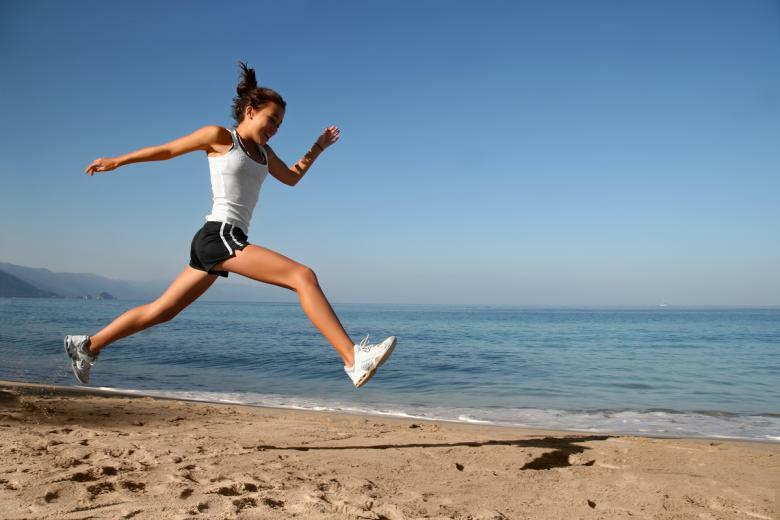 The human body evolved to be physically active and expects a certain degree of activity to remain healthy. This means that any exercise program you use should include low-intensity cardio and heavy/intense exercises. The objective of your exercise program should always be to build muscle, not "burn" calories. For those who don't regularly exercise, an exercise program that includes heavy weights may seem a bit too much. However, if you want to lower your body fat percentage then you will have to utilize muscle-building exercises in a daily routine of some kind. Here is a very simple exercise program that you can use for six months to jump start your body transformation. Do 50 push-ups, floor crunches, and hindu squats Mon-Fri (volume style; 5 sets of 10 reps; 30 seconds of rest between sets to start). Do 20 pull-ups Mon, Wed, and Fri (volume style; 10 sets of 2 reps; 30 seconds of rest between sets to start). Walk 2-5 miles every day. If you feel up to it, you can also do 2 miles of low-intensity jogging three times a week. This kind of jogging is so slow that your heart rate shouldn't go any higher than 60-70% of your max heart rate. That's it! This whole exercise program should take less than 30-45 minutes per day to complete and doesn't even require going to the gym or buying equipment. After using this program for six months, you can branch out into other more difficult (and rewarding) exercise programs. Getting healthy doesn't happen in a day; it takes some time. However, becoming healthy doesn't have to monopolize your life! Once you start making positive changes and implementing them into your daily routines it gets easier and easier. Cutting out sugary drinks alone is a huge step in the right direction! A few diet tweaks here and there will make you feel so much better you won't even believe it. Making your own food is only daunting until you get the hang of it, then it's second nature. Add in some better sleep and a little exercise and you're already well on your way to leading a much healthier life, nailing your PT test, reducing your chances for a myriad of medical problems and maybe even setting a better example for your friends and family. Take the first step! After you learn to live with these few changes then you can move on to eliminating the rest of the 7 Deadly Foods and eating more nutritious foods (which includes safe carbs like white potatoes and white rice). Maintaining these changes for the rest of your life (with the occasional inclusion of junk foods) will keep you perpetually healthy and eliminate the possibly that you will ever be worried about your PT test again! 1. Farris, Russell. Potbelly Syndrome. Laguna Beach, CA : Basic Health Publication, Inc., 2005. 2. Braly, James and Hoggan, Ron. Dangerous Grains. New York : Penguin Group (USA), 2002. 3. Agrarian diet and diseases of affluence – Do evolutionary novel dietary lectins cause leptin resistance? Jönsson, Tommy, et al. 10, s.l. : BMC Endocrine Disorders, 2005, Vol. 5. 4. The Western Diet and Lifestyle and Diseases. Carrera-Bastos, Pedro, et al. s.l. : Research Reports in Clinical Cardiology, 2011, Vol. 2. 5. Davis, William. Wheat Belly. New York : Rodale, 2011. 7. Sisson, Mark. The Definitive Guide to Sleep. MarksDailyApple.com. [Online] March 24, 2010. [Cited: Jun 3, 2012.] http://www.marksdailyapple.com/the-definitive-guide-to-sleep/#axzz1wjczwpET. 8. Circadian rhythms and sleep in children with autism. Glickman, Gena. 5, s.l. : Neuroscience & Biobehavioral Reviews, 2010, Vol. 43. 9. Sisson, Mark. 17 Ways to Improve Your Sleep. MarksDailyApple.com. [Online] April 4, 2011. [Cited: June 4, 2012.] http://www.marksdailyapple.com/17-ways-to-improve-your-sleep/#axzz1wjczwpET.